A rescue team was called out at night to aid a man who suffered suspected spinal injuries on a track near Halifax in West Yorkshire. 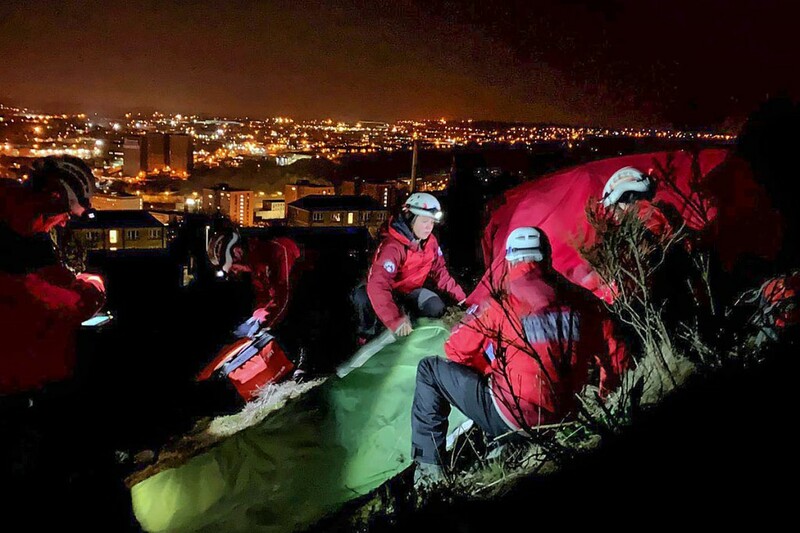 Calder Valley Search and Rescue Team was alerted about 11.45pm on Wednesday when ambulance staff requested its help for the incident off Claremount Road, north of the town centre. Twenty volunteers from the team were involved in the incident after the man fell on a steep, rural track, the first rescuers arriving at the site within nine minutes of being deployed. A team spokesperson said: “Once on scene, team members prepared for the evacuation while CVSRT doctors provided additional medical assistance to the casualty. The rescue ended about 1am on Thursday.